Hollywood. Patrick O’Heffernan. Juliette Ashby was in constant motion. Her hands, her arms, her body all swayed and circled and pointed and touched as she sang, hypnotizing us, drawing us in, capturing us in the heart inside her bare chest. 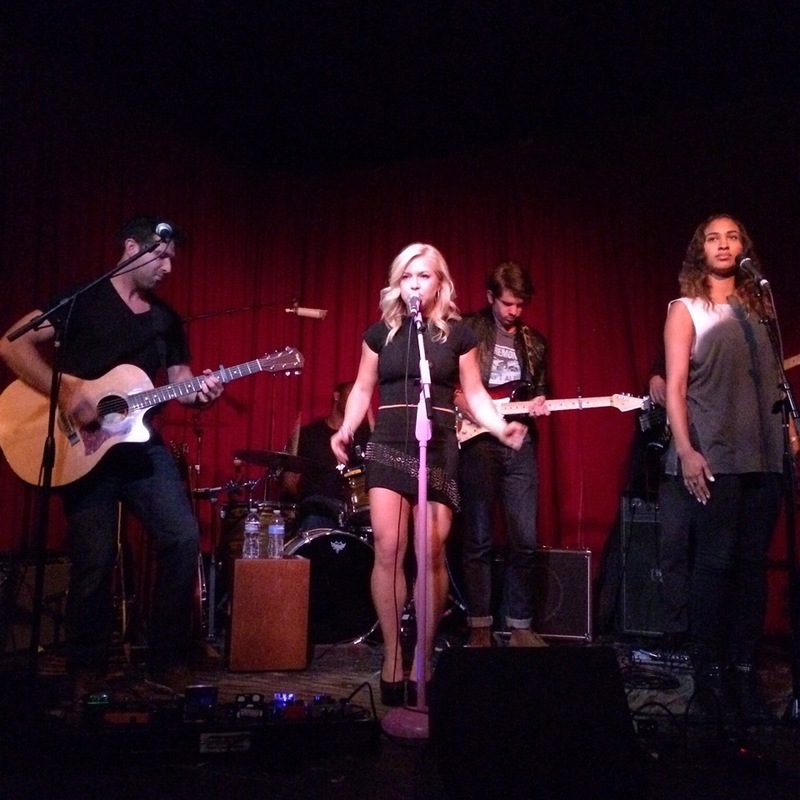 Tall, beautiful and confident, yet down-to-earth, Ashby took the stage Friday night at the Hotel Café in Hollywood and looked over the packed room with a smile of satisfaction and greeting. Statuesque in skin tight black toreador pants and a lime green silk sleeveless blouse open down to her silver belt buckle, seemingly without make up, she radiated not so much sensuality as openness and honesty. The songs she gave us were exactly that – open and honest, and they proved beyond a doubt that she is one of the most talented entertainers on either side of the Atlantic. Ashby is known as a neo-soul, R&B singer-songwriter, but she is so much more. With a high-pitched, almost Jamaican voice that ranges from reggae to soul and R&B, she is simply in a universe by herself. There is no one like her. When she left the stage Friday night, it was an end of a nine-song set, but the beginning of a transatlantic love affair with her new California fans. She followed with the gentle “Home” and then the heart wrenching “Hoping”, about her friend Amy Winehouse, pulling the tears out of us with the lines I’m trying to look back to where it went wrong years ago/When I look back it’s plain to see that/There were other people pushing you down this road. She introduced “Home” with a short story of Winehouse, deepening her relationship with the audience as if, for tonight, we were family. As the set neared the end of the set, she gave the audience what they had been waiting for, her hit song “Over & Over”. As she sang Falling in love with you, yes I be falling love with you/And it be like over and over again, the audience did just that…fell in love with her all over again. The standing crowd was swaying as they watched her body weave and her hands trace invisible patterns in the air. She wrapped the set with her trademark earworm “Take It Over”. But her take on that song Friday night was slowed down, more personal as she pointed to people in the audience,, emphasizing the “bang, bang, bang”, enunciating each syllable as if she was in a musical conversation – a change from the reggae beat of the recording. The effect was deep and personal. Juliette Ashby’s recordings are on the top of my playlist (as well as on Billboard charts and radio stations in the UK), but seeing her live was a new experience. Her videos and photographs project her beauty, but they don’t reveal the beautiful person who stood in the hard light of the Hotel Café stage and handed us her heart. Juliette Ashby started a mutual love affair with America Friday night and I can only hope is grows with many more visits. 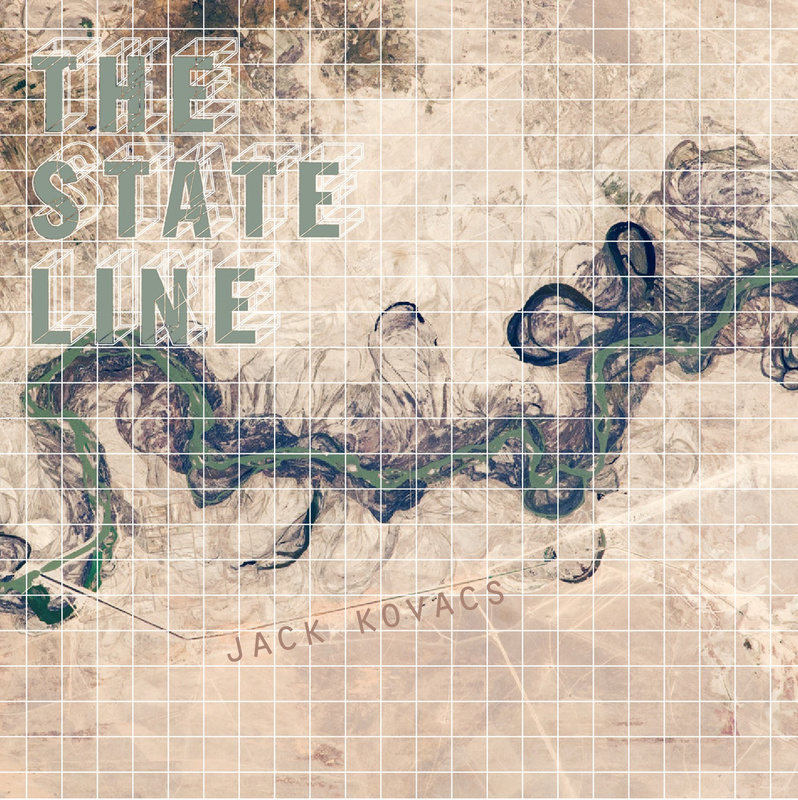 songs and albums available on the website in the UK and Reverbnation in the US. 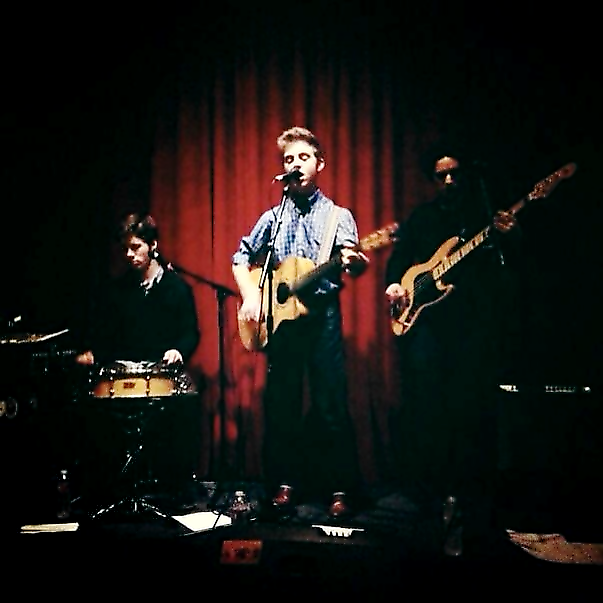 Wednesday night in Hollywood at the venerable Hotel Café, usually a slow night with no problem getting a table. Not this Wednesday night. Tables were gone early and the floor was packed as the warmup act, Justin Furstenfeld, wrapped up. 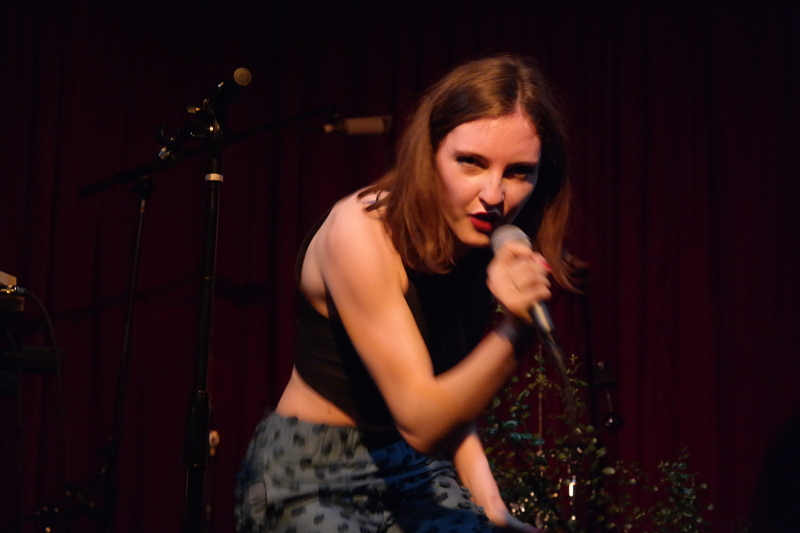 The crowd sang with him and applauded enthusiastically, but they were really waiting for a brunet slip if a young woman with an old/young chiseled face and a sensual voice that perfectly matches her undulating body, Lena Fayre. There is a reason Rolling Stone tapped Fayre as one of the “10 new artists you need to know” in its February edition. Although she is only 17, the maturity of her command of lyrics, sound and audiences is that of a woman with a decade of stardom. 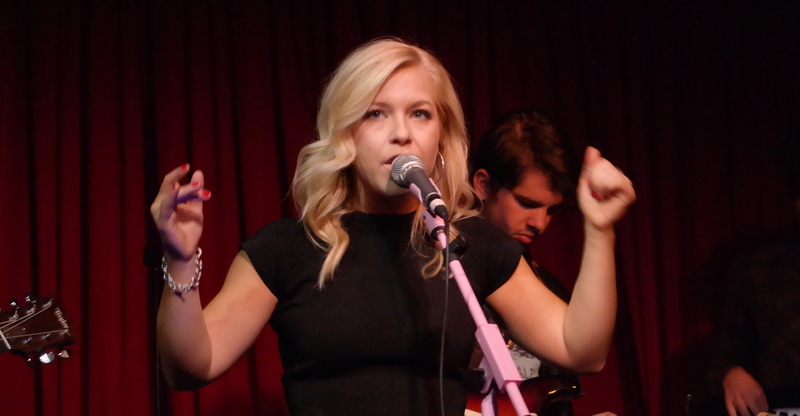 That maturity was in full display at the Hotel Café, hushing an adorning audience. Onstage in a black sleeveless top, open midriff and muted electric blue tufted pants, Fayre’s voice and body writhed and swayed like a demonic serpent pushing the drugs of emotional, ethereal pop. And we happily bought it. Fayre has said that her biggest influences are bands like Grimes, St. Vincent, Junior Boys, and the Baltimore-based synthpop band, Future Islands, for their “multifaceted ‘pop but not pop’ vibe”. 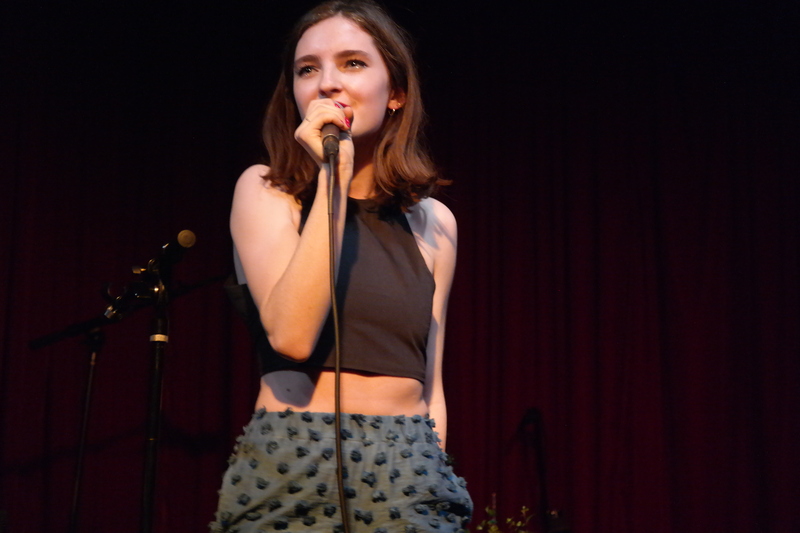 But the performance she gave at the Hotel Café moved beyond her past “smart, savvy teen-pop with heightened emotions and killer hooks”. She has combined ethereal and aggressive into a form that defies categorization. . While seeming to float slightly above the stage in a personal world we can see into and hear, but not fully join, she moved effortless up and down the scales, carrying us with her. 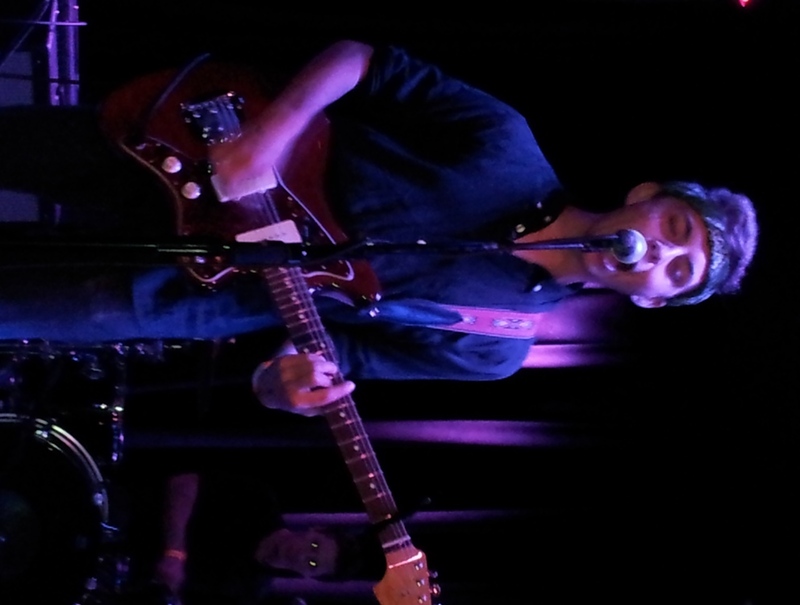 The personal world she slipped into in that first song characterized the rest of the evening – separate but engaged. Fayre’s separateness, so powerful even when she seduces with body language and rippling voice, should turn the audience off but instead it focuses them. I saw Wynonna Judd and the Big Noise a few nights later, who is nothing if not fully present and connected to her fans, and somehow found myself more engaged with Fayre who drew me in rather than exhorted me. your eyes drift out of your skull swimming, swimming while we enjoyed not only the shift in rhythm, but her down modulated voice. As she glided through the rest of her 9-song set list, all from the new album, it became apparent to fans that she has moved far beyond the orchestrated pop of “Jukebox Love” and the high school image of “Love Burning Alive” into more ethereal and often melancholy world of the recent “Belong to You” video, staged on the Santa Monica Pier. Her ability to conjure of a “4th wall” between herself and her audience by singing from a place so deep inside her and so far outside of her current reality is at first off-putting and then very, very appealing. Her control of that wall would make an experience actor proud – she can slip through it to introduce her band and thank her fans, and then move back into it to sing while focused enough to manipulate her electronics on the fly. The highlight of the set for me was the single release “I Am Not A Man” with operatic vocals and the disturbing but so often true lines I hear what you say, but not what you’re saying/I know it’s a game, but what are we playing. “I Am Not A Man” displayed her complete range of vocal control, powerful writing, insight into the current zeitgeist that her audience loves. She wrapped the evening with the up-tempo “Everybody’s In” and, given her separateness, its somewhat ironic lines, Is anybody else on the outside?/Is anybody else on the outside?/Is everybody else on the inside?/Everybody’s in. Lena Fayre’s live performance adds a critical element to her work, her visual body language and ethereal delivery above and beyond her audience. The effect is greater than the usual live performance excitement – it is truly an extra dimension. As Fayre continues to tour to support the new OKo album, I predict fans will flock to see the visual Lena Fayre and let her mesmerize them in hushed rooms. 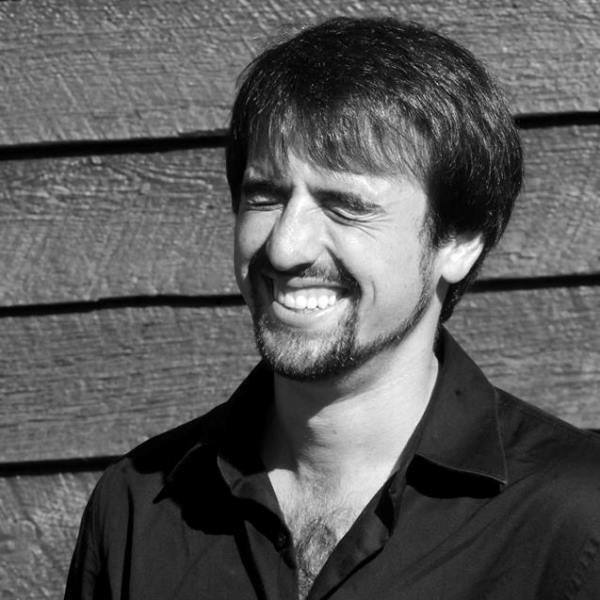 Patrick O’Heffernan, Host Music FridayLive! 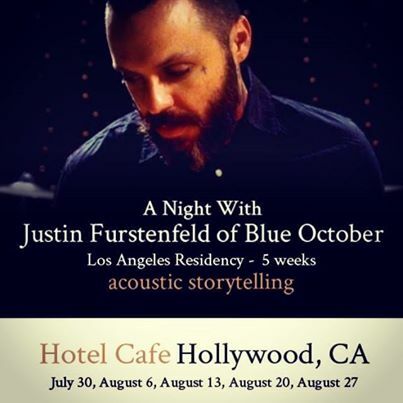 My favorite artist, Justin Furstenfeld of Blue October has announced his five week residency in Los Angeles at the Hotel Cafe. He will be performing his “Acoustic Storytelling” and it promises to be an amazing night. It is set for five Wednesdays, starting on July 30th at the Hotel Cafe and it will be a unique acoustic storytelling experience which will include songs and stories. It will have an intimate atmosphere which allows you to connect with the artist through his words and music. If you were lucky enough to attend one of Justin’s Open Book Tour nights, you will understand what I mean, when I tell you how magical the night will be. Check out our coverage from his Open Book Tour. Justin explains the residency, “I’m happy to say ill be doing a residency in Los Angeles . I’d love to know which songs you’d like to hear ? Which songs you’d like to hear the stories behind ? I cannot wait to meet and shake everyone’s hand . It’s these types of nights that I love , up close and personal where you can hear a pin drop. It’s exciting to me to play stripped down and in front of a fairly new crowd. 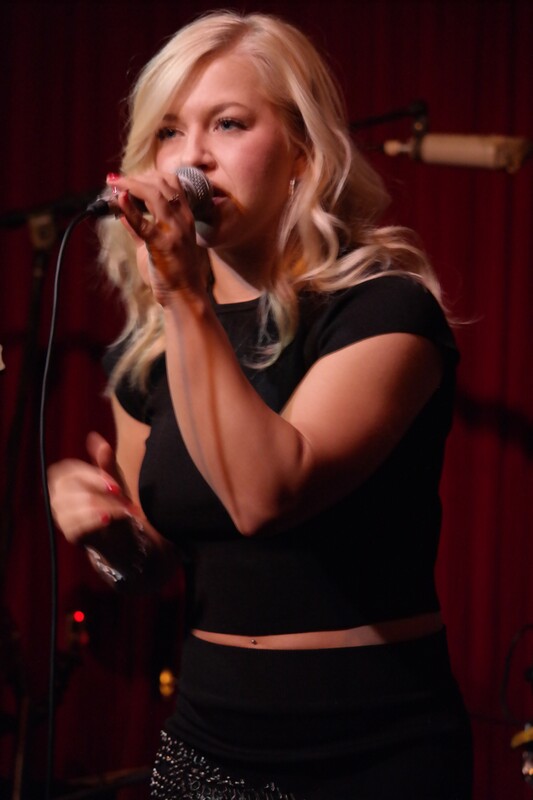 Thank you everyone for your endless support I am very very grateful to have this chance.” Tickets are on sale now for all five shows:https://www.hotelcafe.com/tickets/. I hope you come on out and join us for a very special evening with Justin Furstenfeld. We are set to head out in August and will bring you full coverage of the night and hopefully an interview with Justin. You can check out our previous features on Justin and Blue October which include many photos and videos. I will leave you with you a tribute video that Rockin Ryan made to Calling You. 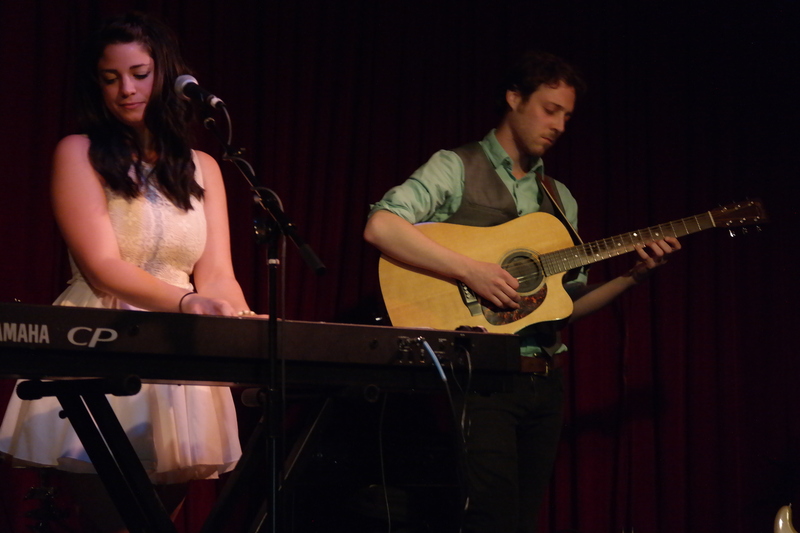 The duo of Alyssa Coco and Matt Merritt, known as Roses and Revolutions played the 9 pm set last night at LA’s famed showcase club Hotel Café and proved they are even more fun live than on their superb recordings. The crowd of about 50 or so fans – not bad for a Tuesday night – had been warmed up nicely by the humor and tunes of Eliza Rickman. As they loaded Alyssa’s Yamaha keyboard and Matt’s acoustic and electric guitars on stage, a record producer and talent scout quietly slipped into the room. The equipment set up, tuned and ready to go, Alyysa, brilliant in a white brocade bodice and very short multilayered flared skirt greeted the audience, joked about assuring her grandmother that the skirt was not really too short (it was close) and opened with “Home”. 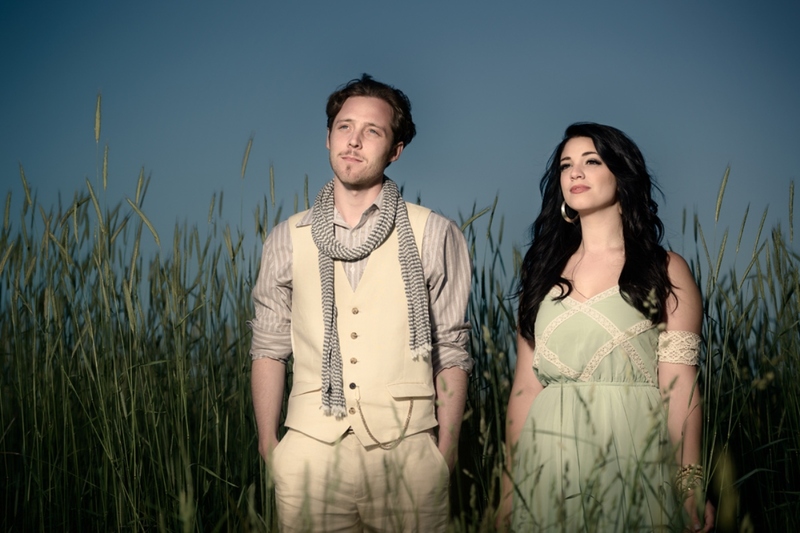 The song is a contemplative pop ballad embroidered with piano and Matt’s skillful instrumentation that the pair wrote for their first album, Earth and Everything. 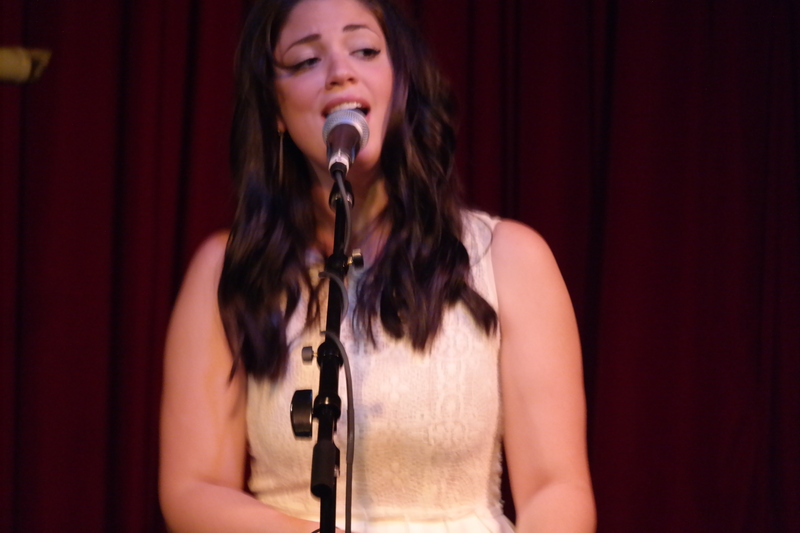 Alyssa’s Norah Jones-like voice filled the room and got everyone’s immediate attention. The duo’s romantic chemistry was joyfully visible on stage as they moved on to “These Walls” from their latest album, Roses and Revolutions. They had the audience swaying. Their delivery of the achingly personal song about Alyssa’s OCD was every bit as powerful as the track on the album which features a guest appearance with Elvio Fernandes, who was in the Hotel Café audience, cheering them on. They followed with “The Scientist”, another powerful display of Allysa’s American Idol-trained vocal range and how perfectly Matt’s superb guitar works with it to weave a melodic whole. I fell it coming, feel you coming/Feel us coming. And they are. In today’s music scene, especially in Los Angeles, the most competitive music market in the nation, talent is is a requirement, but a guarantee of success. Only those with a lot of determination survive. Alyssa and Matt have that determination. 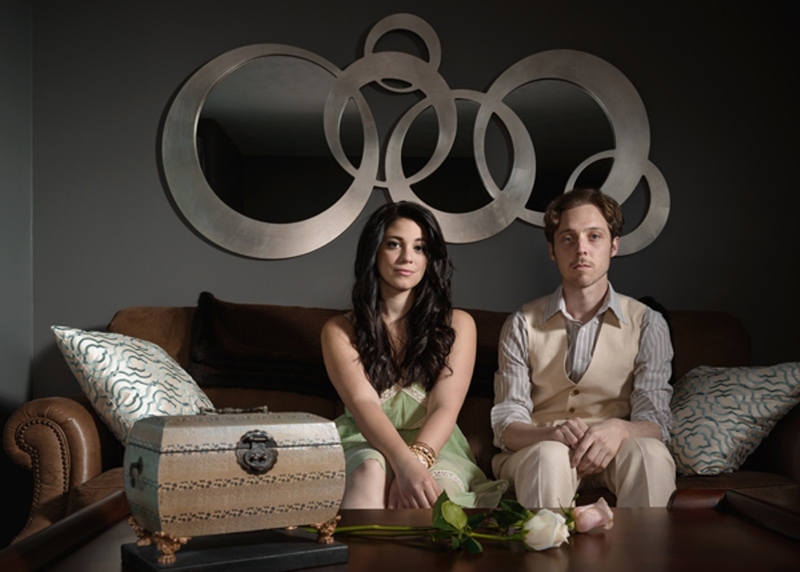 Although both from Rochester, New York, their journey to music was by very different paths . 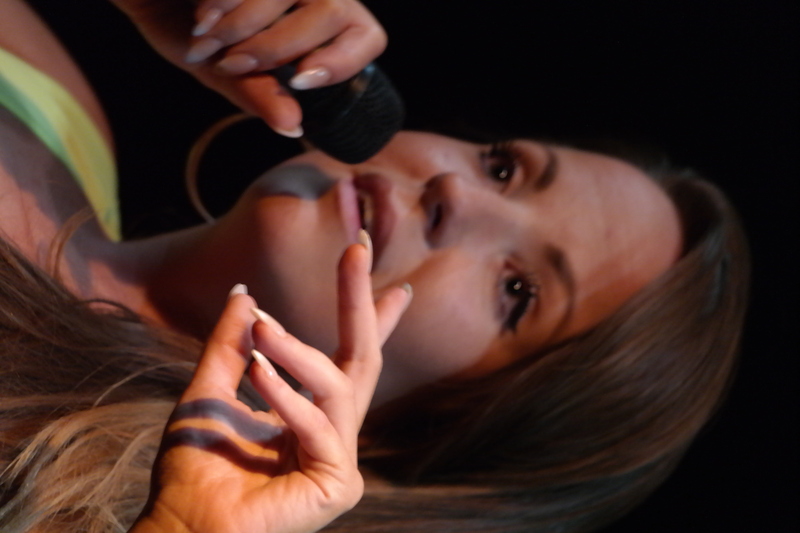 Alyssa came to it when her early passion led to teen-aged album releases and then American Idol at 17 where she was in the Hollywood round in Season 7. 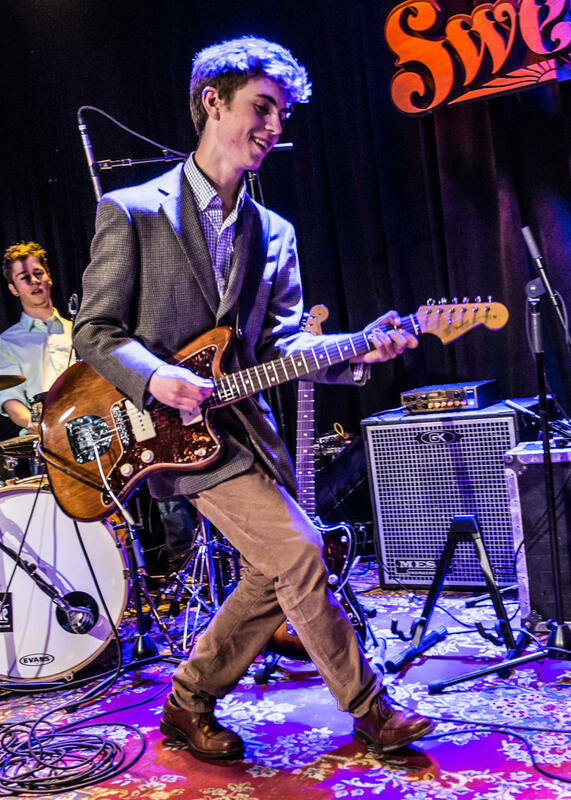 Matt arrived through a late pickup of the guitar followed by a number of bands, rigorous guitar training at SUNY Purchase and his final band, Tinted Image, which incorporated Alyssa and the rest is history. Tuesday’s show moved to its closure with a humorous story by Alyssa of her damaged piano and Matt’s lost and then returned laptop. They they served up a powerful cover of Tracy Chapman’s “Fast Car” – not as poignant as the original of course, but very well done with R&R’s stamp on it. They wrapped up the night with “When a Heart Gives Out” from Earth and Everything and pulled out all the stops, Alyssa’s voice soared and Matt’s guitar riffs – including magical solos in the middle of the song – delighted their fans, who clearly did not want to see them go. Alyssa Coco and Matt Merritt have something special and as Roses and Revolutions are something special. Every song on their new album is a winner and, if Tuesday night was any indication, their shows are pure joy. People have been saying for some time now that they have a bright future. I think their future has arrived and it is very, bright indeed.